Lexus of Brookfield has earned Dealer Rater's 2018 Lexus Dealership of the Year! 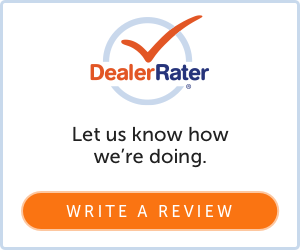 We're always dedicated to our client's satisfaction and our staff is proud of the positive, professional, and friendly shopping environment at Lexus of Brookfield. Check out some of our online reviews below or write one of your own by click one of the icon on the right. We appreciate your business and your feedback! If you need additional assistance, please contact us and we will promptly address any concerns. Kevin, Geoff, and Verbie took good care of us. they explained everything to us very well, both on the pricing side and the vehicle operation side. Adam was great to work with. He counseled me on details and offerings. Never too pushy, he was a pleasure to work with. Highly recommend. I am a very demanding and difficult person to work with and I do not like the car buying process. With that being said Sam made the process comfortable and easy. Sam answered all my questions and really came thru with the perfect vehicle for my us. Thanks again. I stopped in without an appointment hoping to learn more about my navigation system. I was lucky Wade had some time to help me. He is very patient & really explained the the features I was having trouble with. Wade was very helpful to teach a technology challenged lady many of the great features on the Lexus. He was very professional & gave me his work number to call if I ever have any more questions. He really knows the Lexus & I recommend this dealer. Sam Ally was very helpful. I has a problem with the brakes and he saw to it that they were repaired and that I was satisfied. Made the experience of buying a car less stressful. He was very good at returning calls and Emails as quickly as possible. Wade Schumacher is very knowledgeable about the car and was very patient with my lack of technical skills. Gave me a lot of useful information about the car. Wade was great and helped me a lot with my car. He is one of the reasons I have come back for my tenth car. Service is the main reason I stay with Lexus. Wade, you did an excellent job teaching me about the LS500 features. I learned more from you in 10 minutes than I did reading 1000 pages of instructions. Thank you! Great service at this dealership. Will be returning for all my service needs. The service writer Matt Smeiska was very knowledgeable and seemed to have a great personality. Will be looking forward to doing more business with Mr. Smeiska.